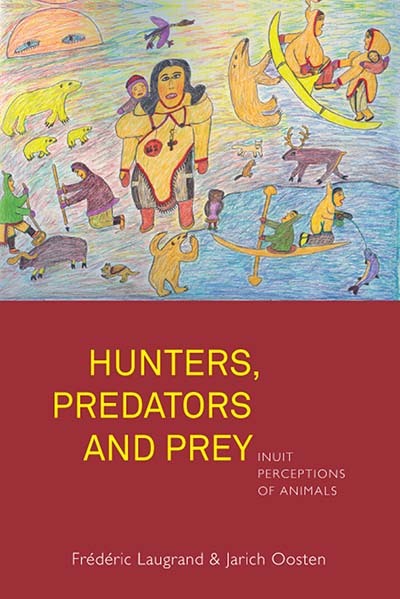 “…this book provides a hugely worthwhile description and analysis, in their own words, of Inuit hunters’ perceptions, traditions, practices and stories of animals and the socio-ecological setting they share. Moreover, it offers an invaluable resource to aid in, and acts as a call for, Inuit understandings to be given due precedence in discourses concerning Arctic resource use, land management and animal welfare/conservation. This book would, therefore, be a valuable resource for anyone interested in Arctic, ecological or human-nonhuman anthropology.” • Social Anthropology/Anthropologie sociale. Frédéric Laugrand is Professor in the Department of Anthropology, Université Laval and Director of the journal Anthropologie et Sociétés. He is the author of Mourir et Renaître. La Réception du Christianisme par les Inuit de l’Arctique de l’Est Canadien (PUL, 2002) andco-author with Jarich Oosten of Inuit Shamanism and Christianity: Transitions and Transformations in the XXth Century (MQUP, 2009), The Ethnographical Recordings of Inuit Oral Traditions by Father Guy. Mary-Rousselière (2010), Between Heaven and Earth. The Recollections of Felix Kupak (2012). Jarich Oosten† was Emeritus Professor in the Department of Anthropology at Leiden University, The Netherlands. He was author of The War of the Gods: The Social Code in Indo-European Mythology (Routledge and Kegan, 1985). He and Frédéric Laugrand co-edited books in three different series at the Nunavut Arctic College. The two co-authored Apostle to the Inuit (University of Toronto Press, 2006), The Sea Woman (Alaska University Press, 2009) and Hardships of the Past: Recollections of Arviat Elders (2011).